Follow the manufacturers recommended instructions. Typically, you need to securely tighten the strap and moisten the electrodes. A Bluetooth heart monitor is only able to connect to one (1) host device (Phone, Tablet, etc) at a time. If you've previously paired your heart monitor with another device, it might automatically be connecting to the other device. A trick to prevent the other devices from stealing your heart monitor's connection is to turn off the Bluetooth radio from all other nearby host devices. Press the Home button two times quickly and you'll see small previews of your recently used apps. 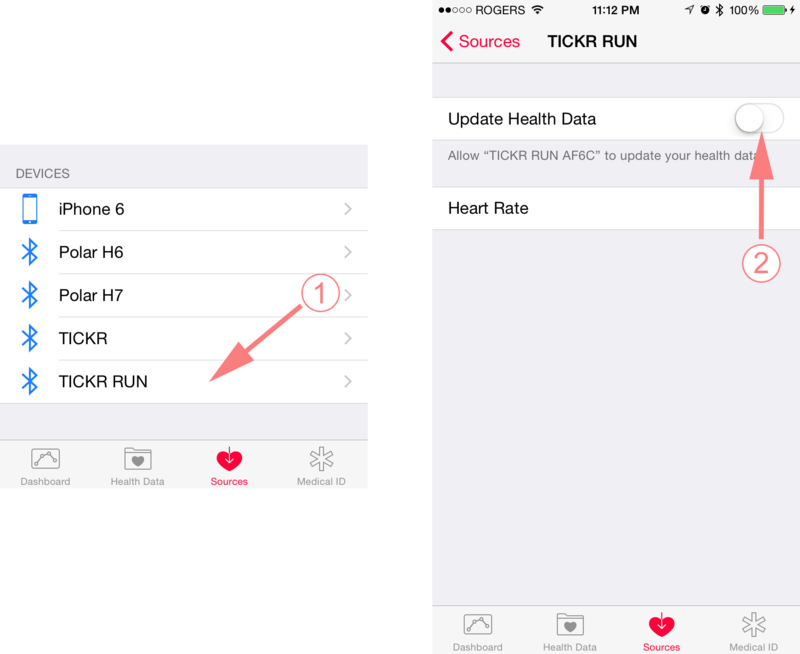 In your phone's Health App, navigate to the Sources tab. Tap on the heart rate monitor that you would like to pair and ensure that its "Update Health Data" option is disabled by turning off the switch. In your phone's Settings App, ensure that the Bluetooth is turned ON. 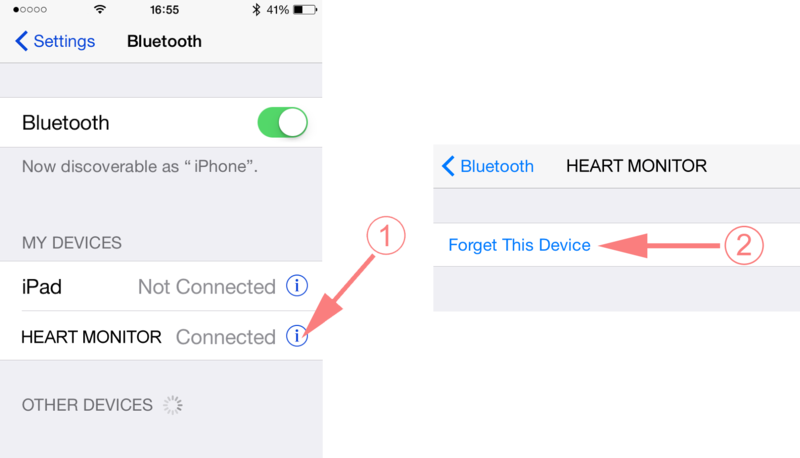 If you see your heart rate monitor listed under the list of Bluetooth devices in the Settings App, you need to click the more information icon (i) and then select "Forget This Device". Open the MotiFIT App and navigate to the User Settings tab at the bottom right corner. Under the Sensors section you will find the option to pair a new heart rate monitor or to test the currently paired sensor's connection. When no heart rate monitor is currently paired, tapping on "Heart Rate Monitor" will start a scan and reveal all available heart rate monitors. Review steps 1 to 4. Check the heart rate monitor's battery. Visit the manufacturer's website to for troubleshooting tips. NOTE: If you already had your a heart rate monitor paired and you are now having difficulties, you can select it and then tap on the "DISCONNECT" button to try reconnet it. It's not working, please help me! If you are not able to connect your heart rate monitor to the motift App and require additional support please don't hesitate to contact us and we'll be happy to assist you get connected.